in one of our authentic, rustic cabins, situated in the "heart" of the Laurel Highlands. For 85 years our family has taken pride in providing clean and comfortable accommodations for our guests at affordable prices. Explore the Laurel Mountains by day and stay at Leber's Log Cabins by nightfall. Through the Years at Leber's Log Cabins! Leber's Log Cabins was established in 1932 by Roy and Frances Leber, two mid-west brothers of German decent. They traveled east and fell in love with the quiet mountains of Western Pennsylvania. They then purchased the land and started timbering the logs. Thus began Leber's Log Cabins. What started as a brotherhood dream, eventually turned into a resting spot for travelers, complete with scenic hills and a beautiful landscape. Leber's Log Cabins are currently owned and operated by the 3rd generation family members. We know you will enjoy the sparkling waters and proximity to the historical sites of Western Pennsylvania. 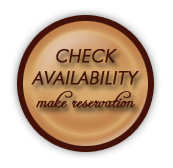 724-329-5206 or click HERE to check availability/reservations. Copyright ©2013 Leber's Log Cabins. All Rights Reserved.